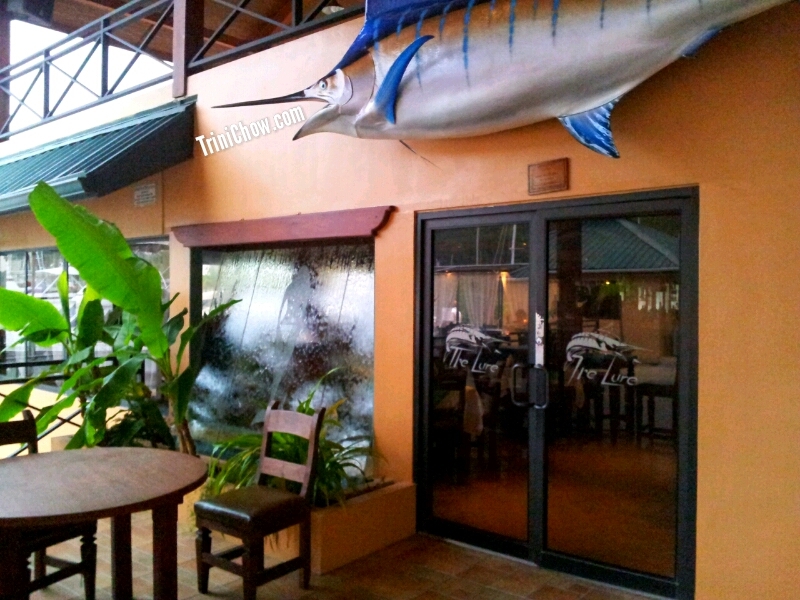 We recently stopped in at THE LURE in Chaguaramas for cutters and decided to have a full meal because we really relish any chance to dine by the water. We’re looking forward to returning and sampling more of the menu, especially the shrimp ceviche, the mussels and the Hawaiian grilled baby back ribs; we’ll keep you posted! Address/Phone/Email/Facebook Page: Sweet Water Marina; Chaguaramas, Trinidad; (868) 634-2783; theluregrill@hotmail.com; THE LURE on Facebook. Serving/Hours: Dinner, Tuesday-Sunday, 4pm – 10pm. Features: Full Service; Full Bar; Outdoor seating. Tags: Trinidad Restaurant Guide, Waterfront Restaurants Trinidad. Bookmark the permalink. Not CLOSED at all, just came from there ! The calamari was great as was the fried pork, would recommend it. We will return for dinner, this was just an afternoon bite, and report. Thanks Sue, great to hear that The Lure has reopened! Went to the lure last night and had the seafood medley for 2. This was extremely delicious and came with four side dishes. We got a ceramic serving bowl completely filled with mussels, shrimp and fish. They definitely did not skimp on the seafood like alot of other restaurants do. I definitely recommend this dish for all to try. The ambiance at the Lure is very excellent. Very classy and elegant with the refreshing view of the sea. What I like the most is that the Lure does not have the 10% service charge alot of other restaurants have in Trinidad and the prices on the menu already include taxes. No surprises here! The servers are extremely friendly which is something you do not get very often in Trinidad. I think I found a new regular dinner spot! 5 stars from me. Went to The Lure last night and it was exceptional! The food, our waitress, the ambiance and service in general were superb! I got a seat right at the water’s edge and I can’t think of a better way to spend a special night! Nicole was my waitress and I felt like I knew her for years… Definitely a ‘must go’ restaurant. Five stars from me! Top 5 for ROTI: Your Picks for Trinidad's Best ROTI! Enter your email address to be notified of new TriniChow posts. May you rest in peace Joe Brown. 2016 T&T National Culinary Team DINNERS!